Sanitary Valve is suited for pharmaceutical industry. Model SR-800 (Sanitary RAM-800) employs piston design that uses O-rings behind TeflonÂ® wall and has no interior spaces where liquids and foreign matter could accumulate. 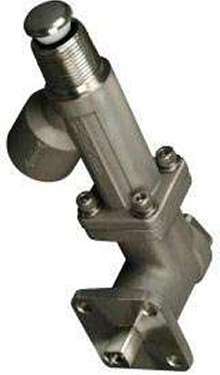 Valve body is constructed of BPE and 3A compliant, 316 stainless steel, and can be autoclaved. Rated for 150 psig product meets ASME BPE-2002 standard requirements and operates in temperatures from 32-300Â°F. Also suitable for use in food and beverage and API manufacturing industries. FLORHAM PARK, NJ (Nov. 1) - Strahman Valves, Inc. has announced a new product, the SR-800 (Sanitary RAM-800), designed for sanitary applications. 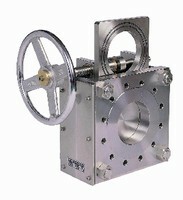 The design of the SR-800 valve eliminates the interior spaces where liquids and foreign matter can accumulate. Specifically, the SR-800 has a unique piston design using O-rings behind a Teflon wall to significantly improve sealing and self-cleaning. The piston completely fills the valve interior, making it impossible for matter to collect. It does this by closing flush to the valve end, eliminating any recesses or cavities. According to William Doll, Product Manger with Strahman Valves, "Our Sanitary RAM has been designed for use in food and beverage, pharmaceutical and API manufacturing industries and meets the requirements of the ASME BPE-2002 standard." The SR-800 valve can be autoclaved for critical sanitation control, and it comes with sanitary/hygienic clamp connectors for easy disassembly. Rated for 150 psig, the SR-800 operates in a temperature range from 32 degrees F to 300 degrees F. It comes standard with 1" sanitary clamp connections. With its corporate-wide focus on excellence in design and production, Strahman Valves, Inc., an ISO 9002 Company, is a leader in the manufacture and design of valves. 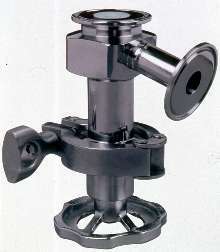 The company developed its first piston-style Sampling Valve in the 1920's and now provides them to the manufacturing, processing and refining industries worldwide. Further information on the SR-800 can be obtained by writing to: Strahman Valves, Inc., 3 Vreeland Road, Florham Park, NJ 07932, calling 877-787-2462, or on the Internet at strahmanvalves.com. Sampling Valves is constructed to promote ease of use. Metal Seated Ball Valves withstand abrasive environments. Line Blinds provide total shutoff of process pipelines. Sampling Valve safely regulates fluid samples. Piston Valve has linear position indicator.